Due to Witcher 3 soaking up most of my free time I did not get around to paint much in the last month. 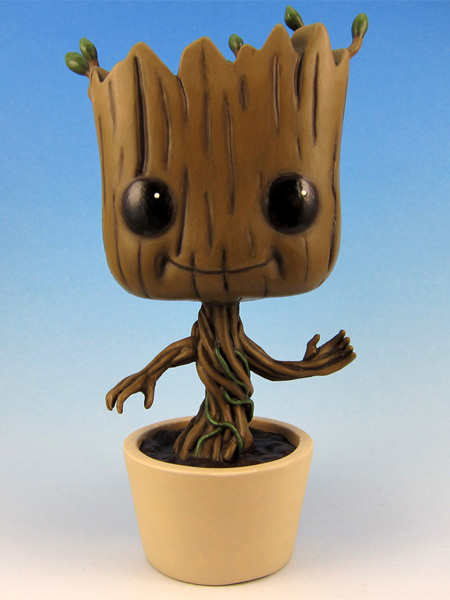 Was able to finish up a project I have been working on for some time now, though – my Groot sapling plant pot. Saw this idea some time ago on reddit and just had to create my own. The mini is based on a Funky POP! Bubblehead which I cut apart, remodeled a bit with modelling putty and then repainted. Planning to plant some cress in his head soon.